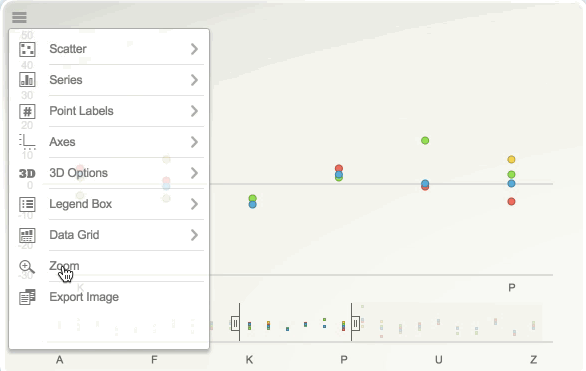 Interact live with your charts and customize them to improve readability and analysis. jChartFX Plus Interactive UI. 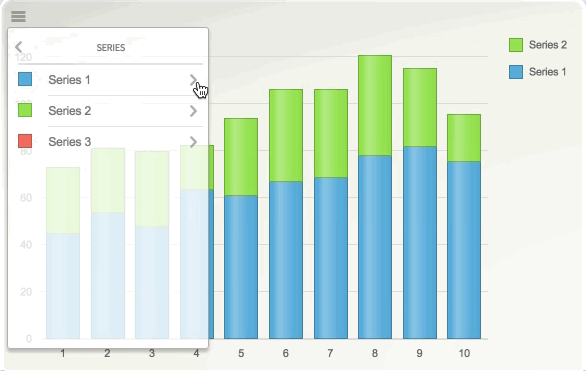 The new UI offers the ability to customize your charts at runtime, facilitating data analysis for your users. Switch and match your desired gallery type from the Interactive UI menu and customize it even further by controlling details such as the markers type and size, visibility, layouts and more. Access all your chat series and control them on a single basis. Control whether you want them to be visible or not, show series labeling and manage positioning. 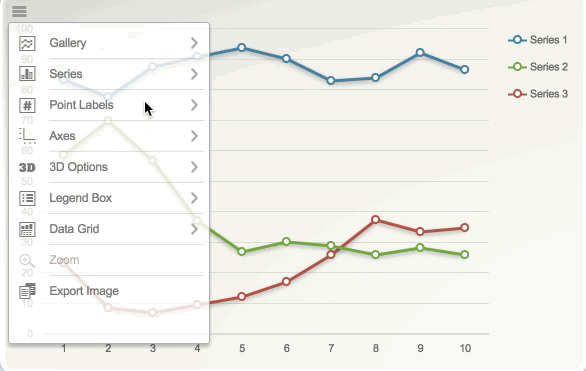 Show or hide Point Labels to support a more accurate data reading on your charts and graphs. 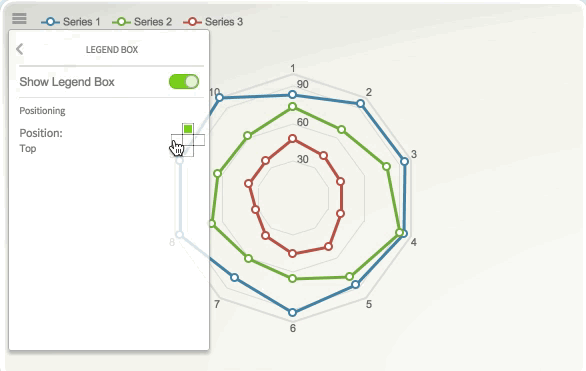 With the new Interactive UI you are in control of the scale, format, decimals, positioning and grid appearance of the X and Y Numerical or Categorical Axes. Easily enable or disabled 3D Views of your charts, any chart compatible with 3D viewing allows cluster display, rotation enabling and grain control of X and Y angles. 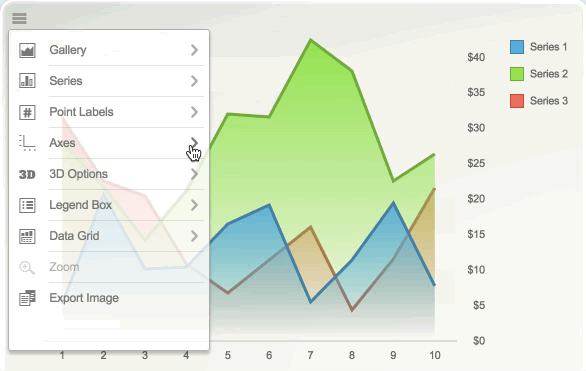 Show or hide the Legends Box for your charts and control where you want them to appear with 4 predefined positions. 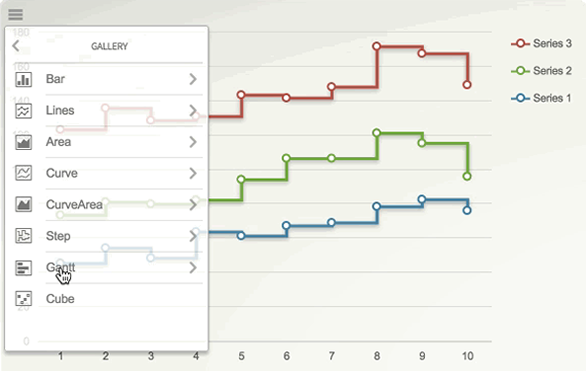 jChartFX provides an elegantly designed scroll bar that attaches to an axis and allows end users to discover more detailed data. 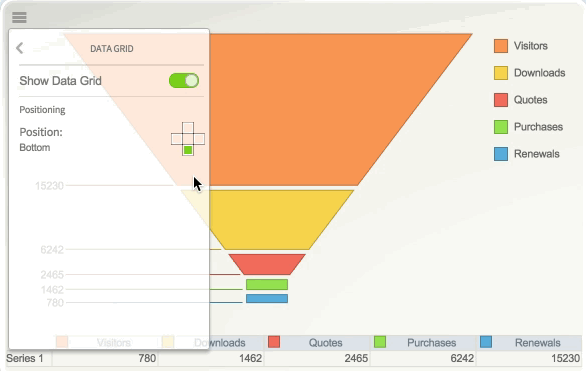 Use the handlers to defined the exact portion of the chart to zoom in and refresh the chart view. 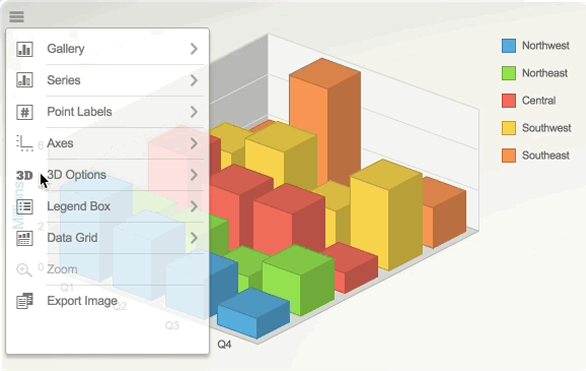 Once you have applied the desired customizations to a chart one can export its current view as an image from the Interactive UI to allow easy sharing or later review. 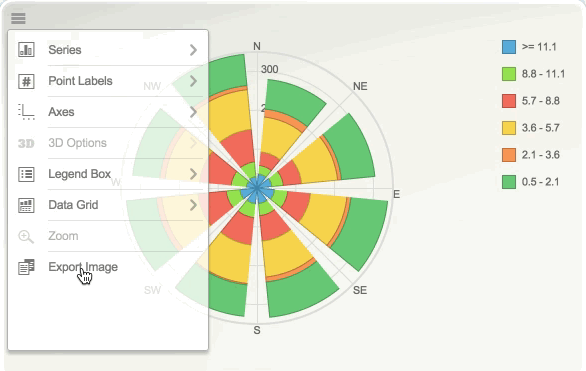 Try the New Interactive UI feature on this live chart. Go ahead and discover what you can do with it!